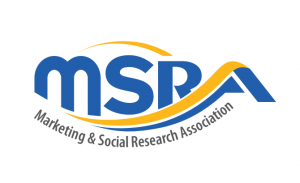 19 July 2017 – Amsterdam, NL – The ESOMAR Foundation, a charitable organization representing the market research industry, in cooperation with global non-profit Women in Research (WIRe) and Unilever, recently funded the Marketing and Social Research Association’s (MSRA) Kenyan Scholarship initiative. 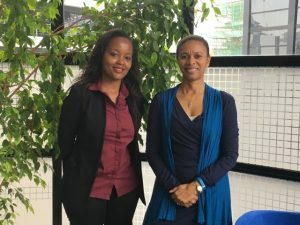 The scholarship has been assigned to recipient Innocent Rwamba Nyaga, who will be pursuing a Master of Science in Marketing, with a focus on Market Research, at the University of Nairobi, School of Business. This year’s MSRA scholarship recipient student, Innocent Rwamba Nyaga, is a Kenyan native from a disadvantaged socio-economic background. Through the scholarship, Innocent will have the opportunity to pursue an advanced degree and, in the future, a career in market research. Through funding the education of women like Ms Nyaga, the organizations involved help to advance the voice of women in the market research industry as well as the voice of African women in the practice. Women in Research (WIRe) raised the funding for the scholarship through outreach to their global community, and supported by a matching donation from Unilever. WIRe is the leading non-profit organization dedicated to the advancement of women in the market research industry, providing career development and educational opportunities for women while supporting gender diversity initiatives. Unilever, a global consumer goods company with a strong focus on charitable initiatives—especially in emerging markets—matched the WIRe community’s contribution dollar for dollar to the scholarship fund. Based on the success of the MSRA Kenyan Scholarship program, ESOMAR Foundation and WIRe plan to continue to collaborate in 2017 to fund additional scholarship initiatives in emerging or disadvantaged markets. The Annual Report 2016 is out!